Homegrown crowdfunding platform CoAssests has announced that it has listed on the Australian Securities Exchange Ltd today under the ASX code “CA8” after successfully raising S$6.72 million under its Public Offer at an issue price of S$0.41 per share. This builds upon an initial S$4.8 million raised from various private placements. In the past 12 months, the Company has raised more than S$10 million from both private placements and the public listing. At the offer price, CoAssests is estimated to have a market capitalisation of S$67.73 million. 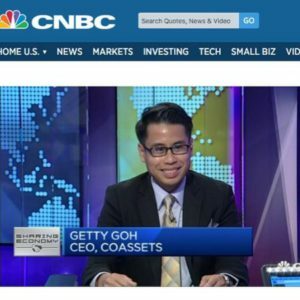 CoAssets, a Singapore company incorporated in 2013, has become one of Southeast Asia’s largest crowdfunding platforms. The company specialises in debt crowdfunding for real estate and for small and medium-sized enterprises (SMEs) (“Opportunity Providers”), looking to fill the S$100k to S$5 million funding gap. CoAssets’ crowdfunding is conducted through a proprietary and unique facilitation platform, which allows developers and businesses to list investment opportunities online. Registered users have the ability to view, research, and invest in real estate or small and medium enterprise debt instruments. CoAssets has grown from a two-person start-up to 65 staff strength and counting. It has built and hired a highly experienced team with demonstrated expertise and a proven track record in facilitating funds for companies seeking to raise capital on our proprietary platform, as well as delivering high quality events such as the EPIC-branded conventions and seminars. The Australian listing provides CoAssets the market value it needs to expand in the Asia Pacific region as well as drive investor awareness about crowdfunding and the platform. The Company intends to use the funds raised on marketing, managing intellectual property (IP) and product development to enhance the existing platform. These will be managed through the Singapore HQ. The company will also look to expand regionally. Crowdfunding and peer to peer lending are rapidly expanding internationally. CoAssets intends to take advantage of weaker economic sentiments in the region to grow its pipeline of opportunities and build exposure to growth markets in Singapore, Southeast Asia, China and Australia, ahead of its competitors. CoAssets has developed co-sponsorship events with the Property Council of Australia to promote real estate and SME crowdfunding. 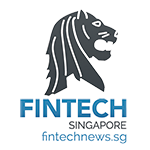 Ongoing, there are plans to establish a Wholesale global debt opportunities Fund to invest in debt opportunities that fall outside the reach of its current platform, beyond the S$100k and S$5 million range, in the Asia Pacific region. “Our mission is for CoAssets to become one of the most trusted and leading crowdfunding companies in Asia Pacific.” states Mr Goh with conviction. With a dedicated team, good infrastructure and a successful listing, CoAssets is well positioned to deliver and pave the way for other local Fintech companies to follow suit.